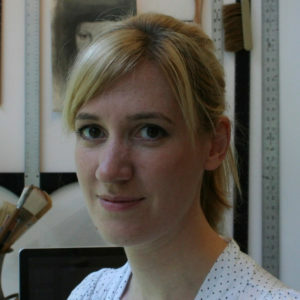 I am an historian of the ancient Greek world, specializing in the social, political and economic history of fifth- and fourth-century BCE Athens. My research focuses on the lived experience of marginalized peoples and the evidence they left behind. 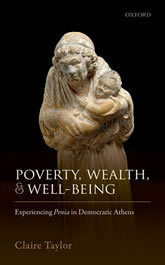 My main project examines poverty in fourth-century Athens, but I have also published work on ancient graffiti, political participation and female friendship. 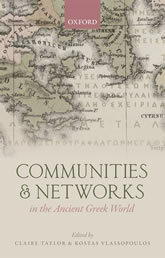 ‘Women’s social networks and female friendship in the ancient Greek world’, Gender & History 23.3 (2011): 704-21. ‘Migration and the demes of Attica’, in Demography and Society in the Graeco-Roman World. 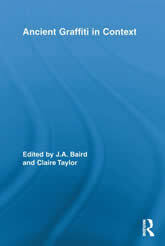 New Approaches and Insights, edited by Claire Holleran & April Pudsey, Cambridge: Cambridge University Press (2011): 117-134. ‘Lead letter days: Writing, communication, and crisis in the ancient Greek world’, [co-authored with Esther Eidinow], Classical Quarterly, 60.1 (2010): 30-62. ‘From the whole citizen body? The sociology of election and lot in Athenian democracy’, Hesperia 76.2 (2007): 323-346. ‘A new political world’, in The Anatomy of Cultural Revolution. Athens 430-380 BC edited by R. Osborne. Cambridge: Cambridge University Press (2007): 72-90.